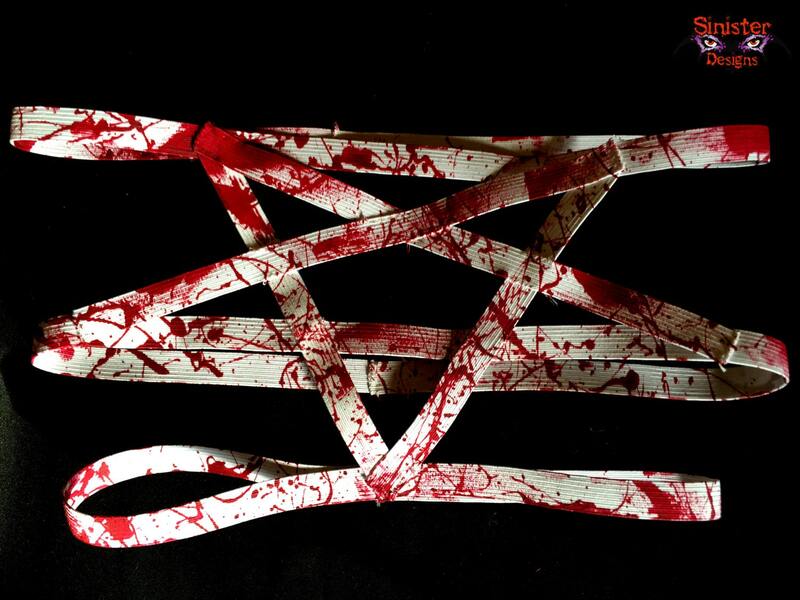 This garter is splattered with red paint to give that murderous look. ;) Looks great with a skirt or over tights/pants! 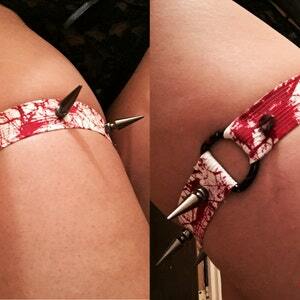 I use high quality elastic on all my designs. -Be aware there will be slight differences since each is handmade and made to order. No two are alike. -While my other body cage wear can be hand washed, I don't recommend washing this one. The paint may wash off. If you don’t see your size, select “Custom Size” and leave you upper thigh measurement in the note section at checkout.